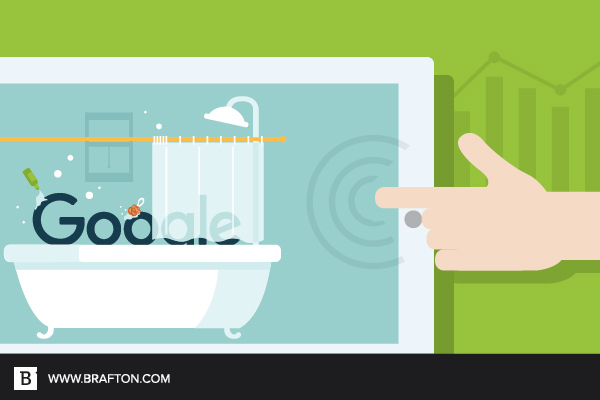 How much does your click-through-rate affect search rankings? Well, I got a pretty intimate look at Google, and I saw all I needed to know. When you spend enough time digging through analytics, you’re bound to run into a few oddball head-scratchers that make you question everything you think you know. And if you’re anything like me, you then make sure to subject your hapless colleagues to your ramblings as you investigate the mysteries. Now, to spare my coworkers for once, allow me to subject you to what I found. It may answer questions you’ve been asking too. Did you see it? I hope so, I highlighted it for you. Big numbers always draw your eye, as was the case with the top article in this list. But double the number of impressions as the second best?! We must have done something right. Right? But wait a minute, it only got 16 clicks, for a 0.01 percent CTR. Hmm, my first thought it that it must be ranking on the second or third page for a generic term that gets a ton of searches. We have seen this before. Hold on a second… This post also has an average ranking of 4.0 for all queries?! That’s impossible. How could an article rank in the top five results and get nearly 110,000 impressions, but NO ONE CLICKED ON IT? Well, now we obviously have to find out what queries we are ranking for. What?! We rank near the top of the first page for the keyword “LinkedIn”? That’s amazing, and it also explains why no one is clicking on our article – they are looking for LinkedIn, not Brafton, clearly. So how does one highly specific article, written by our humble Senior Content Specialist Eric Wendt, end up on the first page of results for the name of one of the largest websites in the world? From a business standpoint, this article is useless (sorry, Eric), but there seems to be a deeper story here. Okay, now it’s getting weirder… All the impressions happened on a single day. Let’s back up and take stock: We published mid-day on Dec. 16, generated 100,000 impressions, then dropped completely off the map in less than 24 hours. How?! Did someone cast our article into Mordor? Okay, so we ranked in the third-fourth position for the keyword “LinkedIn” for about one day, and generated 100,000 impressions (amazing in itself, Eric), but still no one clicked on the article. Then what? Do you see that sleight of hand? They pulled the rug out from under us. We went from ranking 3.8 to getting booted all the way to the third page. Just for the sake of thoroughness – and sanity – let’s go through our timeline again. We published an article on Dec. 16. No one clicked on it. Within 24 hours, we got blasted to the third page. Here is the only factor that changed: No one clicked on our search result. We didn’t change the article overnight. We didn’t overhaul the website. Our Domain Authority didn’t fall off a cliff. There wasn’t a tsunami. Nothing happened. If that’s not an obvious peek behind Google’s algorithm curtain, I don’t know what is. 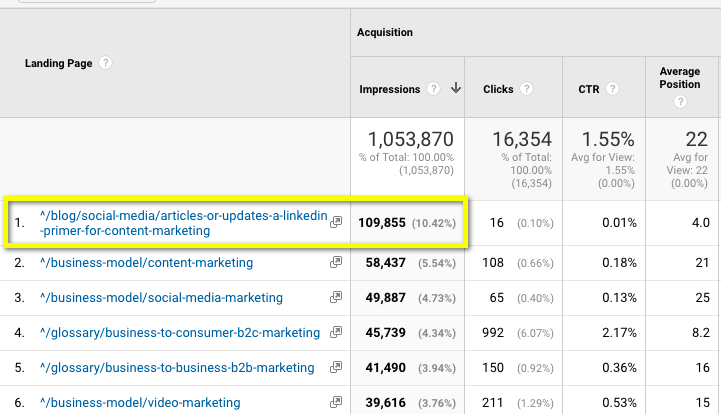 It’s clear that our article was not a good result for visitors searching for LinkedIn, the click-through-rate confirmed it, and Google corrected the ranking. All within a single day. How we got there in the first place I’m sure I don’t know – that’s a mystery for another day. But that, ladies and gentlemen, is how powerful click-through-rate is as a ranking signal. There are teams of people that test for these algorithm factors. I stumbled on this like a lumbering bear tripping over a log.